Thomas Franklin “Tom” Stark, 73, husband of Diane M. Stark of Stuarts Draft, passed away Saturday, October 20, 2018 at his residence. Mr. Stark was born on April 16, 1945 in Baltimore, Maryland, son of the late Leroy J. and Alice Mae (Steinbaugh) Stark. Tom was a proud American, serving twenty-two years in the United States Army as Sergeant First Class-E7 and was a veteran of the Vietnam War. 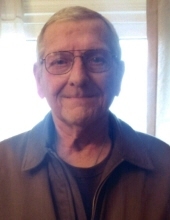 He was a devoted Boy Scout Leader for Troop 84 for over ten years and enjoyed woodworking and cooking. Tom loved spending time with family, Sunday gatherings, and going to soccer games and other sporting events for his grandchildren. In addition to his parents, Mr. Stark was preceded in death by a daughter, Kelly Law; and a brother, Bud Stark. Surviving in addition to his wife, is a son, Daniel Stark and wife Maggie; a daughter, Angela Waitier and husband Stephen Hunter; seven grandchildren, Alex Waitier, Joshua Waitier, Emmilie Hunter, Sarah Stark, Elizabeth Stark, Jordan Law, and Christopher Law; a brother, John Stark and wife Linda; four sisters, Frances Hurley, Shirley Tyndall, Elizabeth Pusey, and Marti Mears; and aunt, Patricia Bailey. The family will receive friends from 6:00 p.m. to 8:00 p.m., Friday, October 26, 2018 in the Coffman Funeral Home and Crematory. A Celebration of life will be conducted 2:00 p.m., Saturday, October 27, 2018 in the Coffman Funeral Home Chapel. A Graveside service will be held in Arlington National Cemetery at a later date. It is suggested those desiring make memorial contributions to the American Cancer Society, South Atlantic Division, 1445 East Rio Road, Suite 104, Charlottesville, Virginia 22901 or the Augusta Health Foundation Hospice of the Shenandoah, Post Office Box 1000, Fishersville, Virginia 22939. To send flowers or a remembrance gift to the family of Thomas Franklin "Tom" Stark, please visit our Tribute Store. "Email Address" would like to share the life celebration of Thomas Franklin "Tom" Stark. Click on the "link" to go to share a favorite memory or leave a condolence message for the family.